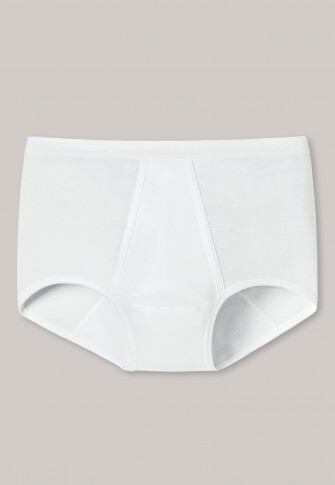 Comfortable underwear classics: This white pair of men's briefs from the SCHIESSER "Original Classics" line is the perfect combination of high-quality material and an optimal fit. Traditional fine rib of 100% super-combed cotton, feels comfortable on the skin and owing to the SCHIESSER woven elastic waist, it fits perfectly without any bothersome side seams even after many hot washes. A classic pair of men's briefs in best SCHIESSER quality! Passform für Männer ideal. Qualität einwandfrei. Empfehlenswert. Gute Qualität. Bequemer Tragekomfort und optisch zwar nicht super-sportlich aber auch nicht spiessig.